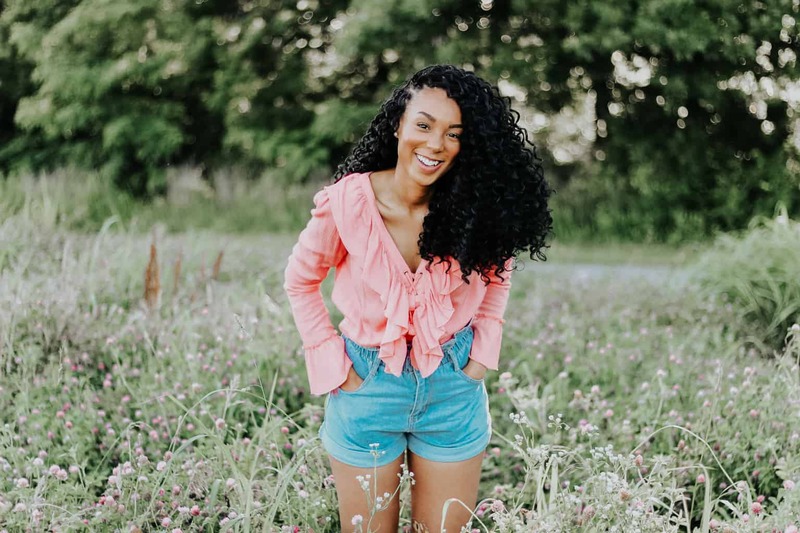 Alabama native Tiera has already had significant success in the music industry. She utilized social media to her advantage, posting weekly #minicovermonday videos on her Instagram page and connecting with other writers online. When she finally made the move to Nashville in late 2017, she used the network she built, and the experience she had under her belt, to set herself up for an incredibly successful 2018. So far it’s paying off, as Tiera just released a new single. I got the chance to chat with her about the inspiration behind her song, what it has been like to be an African American female breaking into country music, her experience with the Song Suffragettes and so much more. Keep reading to see what she had to say. Tell me a little bit about how you first started making and performing music. Oh, man. I think I was like 15 or 16. It was, like, when I went to high school. My freshman year of high school is when I started to get serious about music. I did performances around my town and everything. Then I started going to Nashville and doing performances there. My first performances in Nashville were at the Bluebird and with the Song Suffragettes. That was pretty crazy for me because I didn’t think that I would be able to perform at those places so early on in my career. But yeah, that was amazing. Was there a specific moment or person who made you realize you wanted to start pursuing music as a career? Honestly, I think I just was watching award shows and stuff — all of the country music award shows. I just really fell in love with country music, but I think, I don’t know, I really just realized that that was something that I wanted to do for the rest of my life and I just started to get serious about it. Are you still there? Or are you in Nashville now full-time? Yes, I’m in Nashville now. I actually moved here in November, so it’s been about six months. But yeah, I was in Birmingham. That was kind of just trying to figure out how to make a name for myself while being in Birmingham. I really utilized social media to do that. I just reached out to different writers, and performers, and stuff around town. Then when I moved here, I knew a lot of people. So it wasn’t just like, “Oh, my gosh. Like, this is crazy. I don’t know anybody.” Social media really helped with that. But yeah, I moved here in November. It’s been so great because I’ve actually been able to write with people every day and take meetings. It’s really different when you’re actually in town, but that’s what everybody was telling me. They’re like, “If you really want to do this, you need to be in Nashville.” So we made that move up here. I know it’s only been six months but what kind of impact have you seen on your career? I assume it’s been a positive one. Oh, absolutely. I’ve just had so many performances, way more than I did back in Birmingham, and I play with the Song Suffragettes regularly. I actually got to play Whiskey Jam a couple of days ago. That was so crazy for me because I didn’t think that I would be playing that until I’d been in town for a couple years. I played that acoustically. Usually, people have full bands. I closed out the show. I was so nervous, but after I finished my set I did three songs and then they kept asking for more. So I did two more songs and it was really crazy. I’ve gotten to do a lot more performances here in Nashville. That’s really what I love… is performing and also being in studio. There’s nothing like performing the songs live and seeing people sing along to them. You mentioned the Song Suffragettes. How has being a part of that all-women songwriters and country artists group helped you as an artist? Oh, my gosh. Song Suffragettes has been a tremendous help. Helena [Capps] and Todd [Cassetty], they’re who put on Song Suffragettes, they’ve been so gracious and just included me in everything that they have. It’s really great being a part of that group because it’s all females and it’s kind of like having a built-in friend group. That was really helpful when I moved here. I didn’t feel like I didn’t know anybody because I had met a lot of those girls at performances and stuff. I’ve written with a lot of those girls. Honestly, if I didn’t have Song Suffragettes my career may be a little different because they’ve helped me so much. It’s so great meeting all of those girls. 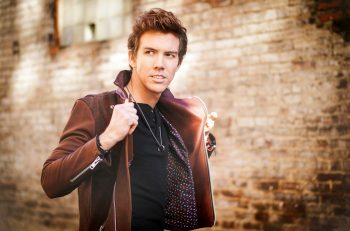 Today’s country music has a reputation for being a very white space, especially in mainstream country music. As an African American female country artist, what has your experience been like trying to break into the business? Darius Rucker is the most well known and there aren’t many artists of color beyond him. 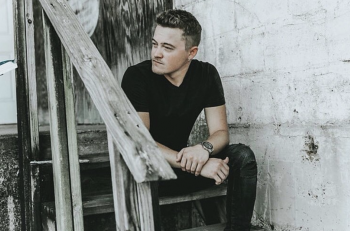 Honestly… you would think that it would be kind of hard to do what I do since there’s not a lot of people like me in country music, but it’s been so great. Everybody has been so accepting and I’ve really never gotten any negative feedback [for] being an African American in country music. Everybody is so accepting and I think people just want diversity. Everybody loves country music; it’s not just white people that love country music. I think it’s nice for people to see diversity in country music. I’ve gotten a great response from it. I know historically it hasn’t always been that way, so I was just curious if you had found any challenges with trying to break in as an African American female artist. Yeah, a lot of people have asked me too. I kind of have two things against me–being an African American and also being a female–kind of having to battle both of those things. But it hasn’t been that bad. It’s definitely not what I expected whenever I first started doing it. I just love country music so much, so any backlash that I would have received from it definitely wouldn’t have stopped me from doing it. But honestly, it’s been a great response from it. I’ve gotten messages from people of color saying that they were always afraid to sing country music but seeing me really inspires them to do it. Honestly, that has just been great… to be an inspiration to other people. That’s what Darius Rucker is to me, so it’s great to be that for other people. I wrote that song with my producer, Noah Shell. I went to University of North Alabama, which is close to Muscle Shoals. I met him at FAME Studios; he’s a producer there. We wrote a lot of songs during my time at college. That song, actually, he came in with a couple of lines for that song. We tried to start writing it and weren’t really feeling it. But I really loved the lines that he brought in, so I actually went home and wrote a couple more lines to that. Then we finished writing it in our next write. But I really wanted something that was just upbeat, just a fun love song, because I don’t really write love songs that much [laughs]. You know, the cheating ones are so much more fun to write, but that was just a nice break from all of the other songs that we’ve written. In terms of your writing process, are you someone who tends to write by yourself or do you always like to collaborate with others? I do both. When I first moved here I did a lot of co-writes. It was kind of a big shock to me coming from Birmingham. There’s not a really big songwriting community there. I always wrote by myself when I was in Birmingham, but then I came here and there [are] so many people to write with. I love co-writing with people. It’s nice to get different opinions on songs. But I still love to write by myself because I think it’s just great to continue to hone that craft. I honestly love both. I know it’s really easy to get stuck in co-writing, so I try to force myself to still write by myself. Who are some of your musical influences when it comes to songwriting? Oh, man. Well, I love Kelsea Ballerini and Carly Pearce. Those are two of my favorites. I actually listened to Carly Pearce way before she had a record deal. She just had videos up on YouTube and I would just go and listen to her original songs. Those are some of the people that I listened to whenever I first started songwriting, just to figure out what my sound was. I also listened to Mallory Hope, she’s a Christian artist now but she did country music. Honestly, I listen to anything to get inspiration for my songs. I don’t like to just stem my songs from personal things. I like to also write about other people’s stories. Besides your single, what can people expect from you in 2018? Is there an album or EP coming out sometime soon? I’ve got a couple more songs coming out throughout this year and maybe an EP at the end of the year. I’m definitely going to have some more music. I’ve recorded a lot of music. I’m excited for people to hear these songs. That’s awesome. I always like to end things by asking what you nerd out about? Netflix [laughs]. I’m obsessed with Netflix. Whenever I don’t have anything to do I just sit around and watch Netflix. It’s kind of a problem. Probably should be doing something else, but I love Netflix and chilling. I’m actually watching Luke Cage right now, the Marvel show. I love the Marvel universe. My boyfriend got me into it, but yeah, that’s what I’m watching now. I just got done watching Grey’s Anatomy and I’m so sad. Grey’s Anatomy for the first time? Well, it was the last season. But yeah, I’m definitely going to rewatch the whole thing again and I never do that. I was kind of against watching Grey’s Anatomy because it was just the popular thing and I’m always against what’s popular. But I finally caved in and oh, my gosh. It’s so good. You can learn more about Tiera by visiting her website or following her on Facebook, Twitter, Instagram, and YouTube. You can also listen to her single “Out of Sight” here.